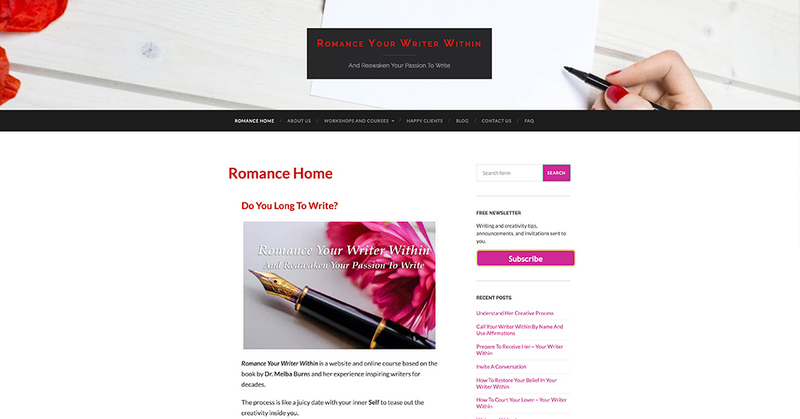 Bonnie once took a Writing and Creativity workshop from Dr. Melba Burns and loved her book, Romancing Your Writer Within. We entered an agreement to create an market an online course based on the book and her class. The fun part of the book is that it is structured into short lessons that are like 50 romantic dates with your Writer Within. Hook the website up to Kartra to build a mailing list. Build the lessons as a membership site in Kartra. Create blog posts regularly on the websites with sample chapters..
Post links to the blog posts in social media. Send personal emails from personal accounts to contacts interested in writing to visit the site and sign up to the site newsletter. Broadcast a newsletter with information about workshops and a link to sample content in the blog posts. Present the website and workshops in live settings (planned). 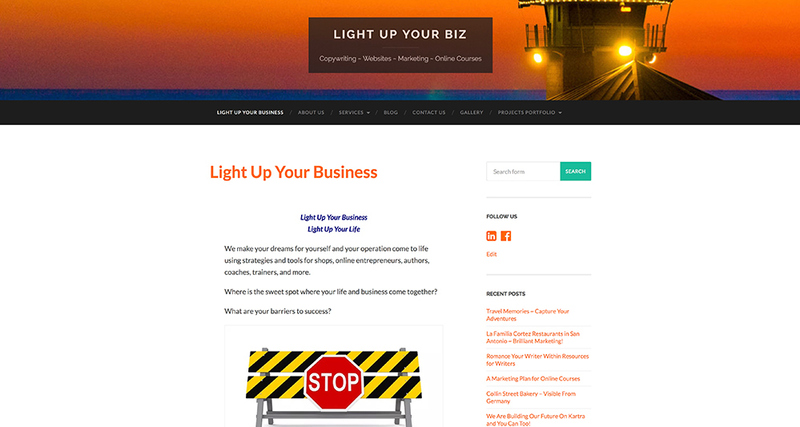 Inspired by experiences selling signs in Texas and attempting to create a business that combines my media and writing experience with Bonnie's experience in retail and wholesale sales, we created a website at lightupyourbiz.com. Given the choice to focus on Light Up Your Biz, or my Shared Visions Unlimited after moving away from the sign business, I prefered Shared Visions Unlimited because it was already established as a business and fit into an interest in offering travel related services and posts. There are some helpful posts on the site.